It’s estimated that 7 out of 10 women and 3 out of 10 men will form visible facial veins in their lifetime, and for most people in San Diego, they are not a welcome sight. Broken veins that twist and turn can make one look older and unhealthier than they really are. Here at Cosmetic Laser Dermatology, our board-certified dermatologists are experts at treating facial veins in San Diego. All of our doctors are experts with the most innovative lasers and will provide you with the best treatment possible. The skin care specialists at our center are leading authorities on facial vein treatments. 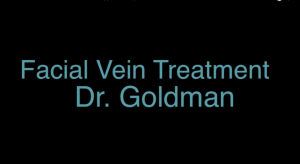 In fact, our founder and medical director Dr. Mitchel P. Goldman is world-renowned for his pioneering research on vein therapy and has published numerous highly-regarded research studies, manuscripts, and textbooks on the subject. There are differences between the types of visible veins that can form on the face and our dermatologists take this into account when determining a treatment plan. We have the most state-of-the-art technology available to safely and effectively diminish various types of broken facial veins. Spider veins are blood vessels that have dilated due to weak blood vessel walls. The weakened walls expand, allowing more blood to pool into the vein, making them more visible from the surface of the skin. When they are red they are known as telangiectasias and when they are blue, they are known as reticular veins. Spider veins are generally smaller veins that often form on the cheeks, nose, and chin. Reticular veins are larger, less common types of facial veins, often appearing on the temples and forehead. Certain other factors may also increase the risk of having visible facial veins. Some people suffer from a type of facial redness that includes inflammation, acne-like pimples, and swelling called rosacea. It can form on the forehead, the chin, cheeks, and nose. Rosacea can also have red facial telangiectasias. They tend to get worse with heat, sun exposure, alcohol and eating hot and/or spicy foods. If one’s parents or grandparents had visible facial veins, there’s a good chance that the ensuing generations will, too. Rosacea is especially common with those of Scotch-Irish heritage. The damage that UV rays can cause to the skin can also affect deeper blood vessels. In addition to causing wrinkles or rough texture from damaging the skin’s outer layer, UV rays also cause the tiny, frail capillaries just below the skin’s surface to weaken and break more easily. Sun damage can lead to spider veins. During pregnancy, the mother has increased blood flow and increased estrogen and other hormones, which can cause her veins to enlarge and form spider veins. Hormone changes due to birth control pills or estrogen replacement therapy may also cause similar vascular issues. Some activities or certain bodily functions that put stress on the facial skin can lead to vein breakage. Patients with allergies who sneeze a lot, for example, are more susceptible to facial veins. People who have had injuries to their face, such as athletes and those who have had surgery are also more vulnerable, particularly if they suffer multiple injuries that resulted in bruising or lacerations. Often, a disorder or condition with no clear-cut causes also has few preventative measures. Biological aging cannot be delayed, but following a good daily skin care routine that includes sunscreen, moisturizers, and mild cleansers can certainly reduce the chances, and perhaps the impact, of forming facial veins. Another measure is avoiding overexposure to the sun. Otherwise, Cosmetic Laser Dermatology has a variety of treatment options that are safe and effective in treating facial veins in San Diego. Learn more about spider veins at WebMD.com. 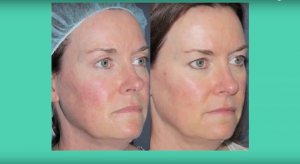 In general, laser facial vein treatments deliver the best, most consistent results. Safe and effective, they offer natural-looking improvement. Unsightly facial veins can be treated with more precision with lasers than nearly all other treatments can. This means that only the targeted veins will be touched and the surrounding skin and tissue are unaffected. 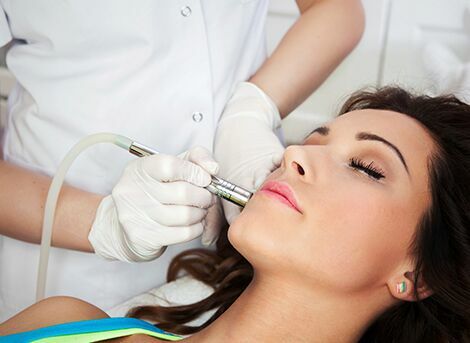 Laser treatments are the most effective treatment for erasing veins on the face. Lasers deliver precise dosages of energy to each vein, with minimal risk to the surrounding skin. During the treatment, light energy is delivered through a special handpick to the targeted vein. Then the energy is absorbed by the blood vessels. The heat and energy absorption causes the blood vessel to clog and is slowly absorbed by the body. There is little to no discomfort after the laser treatments. In some cases, patients may experience some swelling, redness or blistering, and the skin might feel tender for a few days. However, applying ice to the treated area can help to minimize swelling and inflammation. Our doctors will answer any post-procedure questions you may have. The CTEV laser is actually put inside of the veins to treat it. 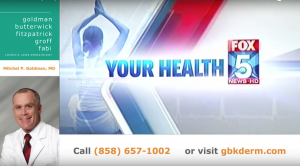 It is a very advanced technique which Dr. Goldman helped develop. While all of the different lasers can seem confusing at first, don’t worry! Your doctor will be able to choose the most appropriate laser for you. We just want to show you that we have all of the possible lasers you might need, so no matter what your individual situation is we will be able to treat you. 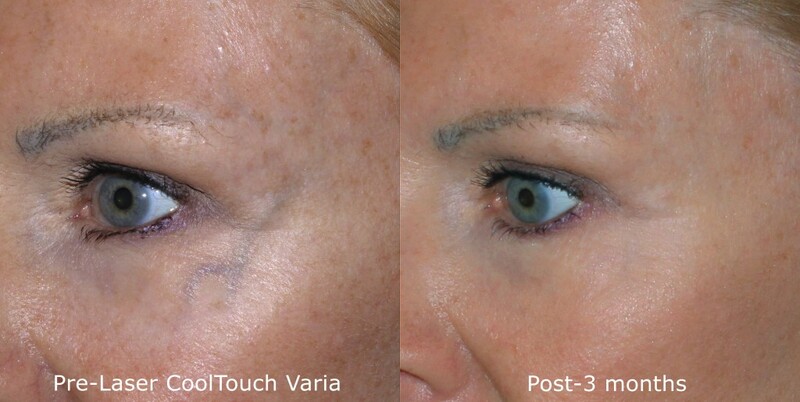 While there are several different types of lasers that can be used to treat facial veins, one of the best treatments for facial veins is called CoolTouch™ Varia. The CoolTouch Varia is a non-invasive long-pulsed laser procedure in which the experienced dermatologist can specifically target the unwanted veins without damaging the surrounding tissue. This state-of-the-art laser is effective at targeting small, thin veins as well as deeper, dark veins and there is no downtime after treatment. When your San Diego dermatologist uses the laser, he or she will target the specific problem areas with the light. Following, the blood vessels will then absorb that light energy, stop working, and be slowly absorbed by your body. The result? No more visible facial veins! Q: How can I prevent facial veins? A: Our #1 recommendation for preventing veins is to protect your skin from the sun. Wear sunscreen on your face daily and avoid long sun exposure. Also, for patients suffering from rosacea, it’s important to treat the rosacea as soon as possible and be consistent in your treatments to help prevent the development of visible facial veins. Q: How long does the CoolTouch Varia treatment take? 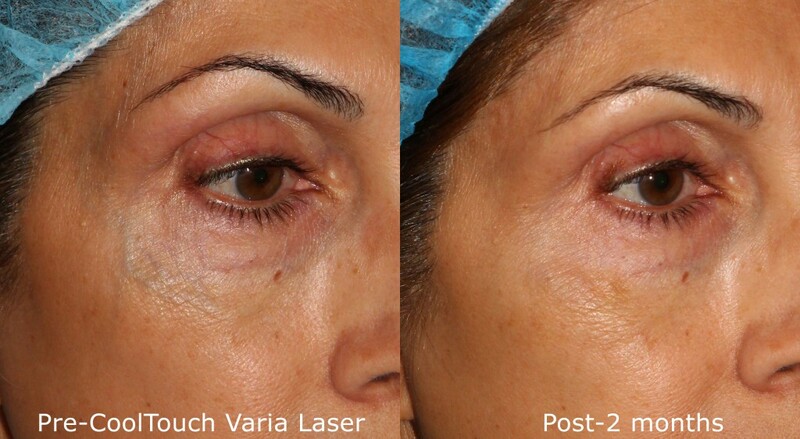 A: CoolTouch Varia laser treatments are typically performed in short 20-30 minute sessions, meaning you can get treatment for your facial veins in San Diego on your lunch break! A: The number of sessions needed to produce the desired result will vary from patient to patient depending on their unique situation. When getting laser treatment for veins, though, patients are usually highly satisfied with 2-3 sessions. Q: Is facial vein treatment painful? A: The pain associated with the laser treatment of facial veins is minimal. 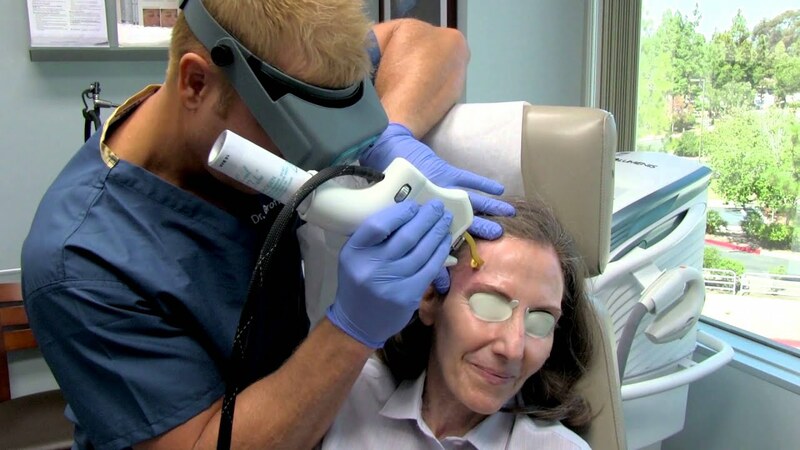 Patients will experience a snapping sensation as the laser hits their skin, but there is typically no lingering pain, with most patients returning to normal activity right after treatment. Our doctors are happy to discuss with you any concerns you may have about pain during your consultation. Q: Is CoolTouch Varia safe for any skin tone? A: Yes! Because of its cutting-edge technology and how it specifically targets only the unwanted vein, the CoolTouch Varia laser is one of the safest for all skin tones. Q: How long does it take to do a treatment? A: Treatment sessions for veins are generally set for a fixed amount of time, usually 20-30 minute sessions. A: The number of treatments can vary based on several factors including the size and depth of the vein. Usually, multiple treatments (2-5) are required to produce pleasing results. A: In general, pain is minimal. Many patients say the laser treatment feels like the snap of a rubber band on the skin as the pulses of energy are delivered. If you want, a topical anesthetic can be applied to further reduce the amount of pain. After the treatment, the pain is minimal to nonexistent. Q: Are laser treatments safe on the face? A: Yes, lasers have been used safely for millions of treatments worldwide. Laser systems treat only the targeted vessels, leaving the surrounding tissue intact.